BDS Suspension joins the 2018 Jeep Wrangler JL market with the first of several lift systems to hit the shelves ready to ship with new 2” lift systems designed for improved on-road/offroad performance and clearance for 35” tires. 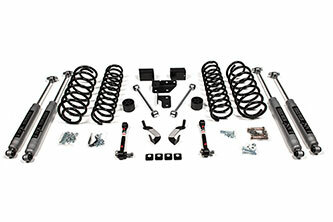 Designed to not only lift, but enhance the new Wrangler JL’s all around performance, these new systems come complete and ready to perform right out of the box with ProRide coil springs, NX2 gas shocks, sway bar disconnects, track bar bracket, caster correction and more. As with all BDS lift kits, these new kits are backed by Factory Protection Plus for piece of mind wherever your adventures may take you. Factory Protection Plus includes BDS’s exclusive No Fine Print Warranty, ESC system compatibility and a 5-year 100,000-mile drivetrain warranty. 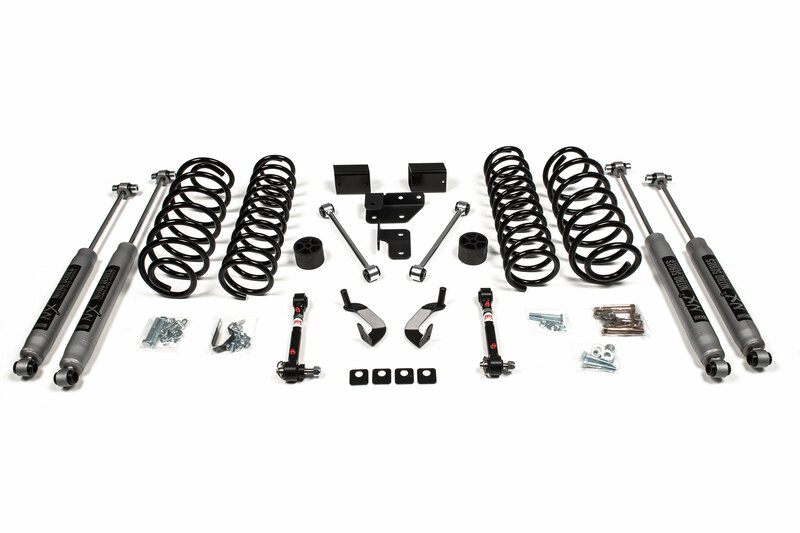 Jeep Wrangler JL 2" Lift Kits: BDS Suspension joins the 2018 Jeep Wrangler JL market with the first of several lift systems to hit the shelves ready to ship. These new 2” lift systems are designed for improved on-road ride quality and offroad capability with clearance for 35” tires. 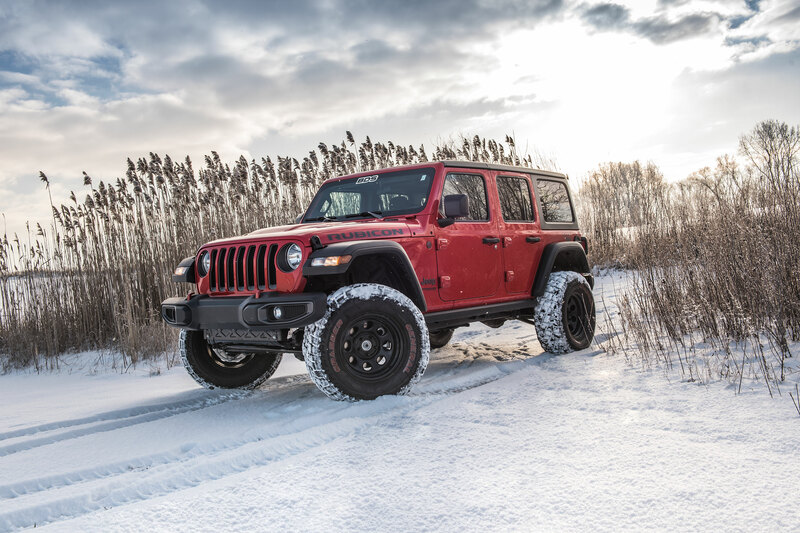 Designed to not only lift, but enhance the new Wrangler JL’s all around performance, these new 2” systems come complete and ready to perform right out of the box. 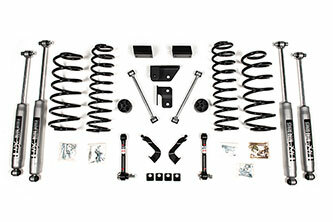 At each corner replacement JL-specific ProRide coil springs are supplied to mimic the factory ride and spring rate. These springs provide additional ride height, along with allowing for increased suspension travel over coil spacer kits on the market. They are paired with specially tuned NX2-gas shocks to offer a smooth ride and split second response to changes in the terrain with 10-stage velocity sensitive valving. These high pressure nitrogen gas charged shocks offer a huge improvement over the factory shocks and kits with shock extension brackets. 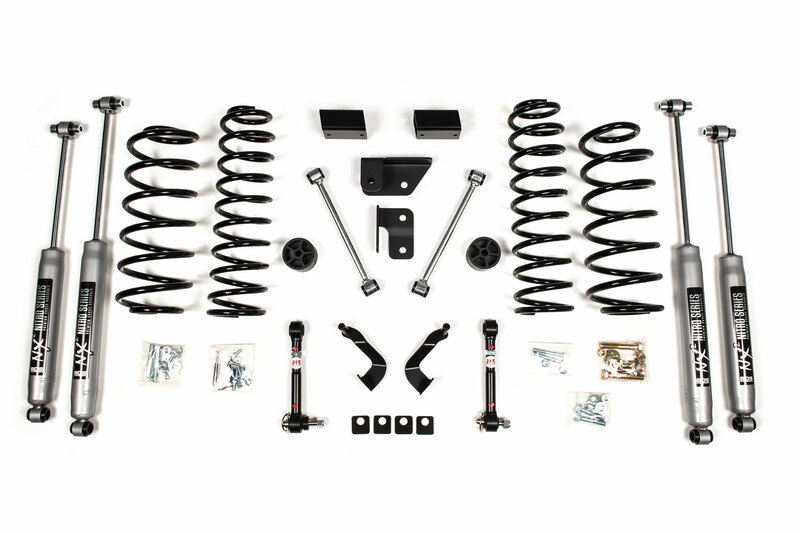 Along with the new coil springs and gas shocks, these 2" kits include front and rear bump stop extensions to properly limit suspension up travel. Up front the front axle is repositioned forward to correct caster using a set of lower control arm cam locks. JKS quicker disconnects are supplied with the kit to unlock the front suspension’s potential to flex while maintaining quiet on road operation with a heavy duty adjustable design and spherical bushings. Along with the sway bar disconnects bolt-on mounting posts are supplied for each side to easily store the sway bar up out of the way when hitting the trail. In the rear extended length sway bar links are supplied to keep the sway bar at the optimal operating angle and allow more droop travel when paired with the rear NX2 shocks. Finishing out the rear of this kit is a 2-piece rear track bar bracket to recenter the rear axle under your new Wrangler JL while improving the operating angle for improved roll center geometry. As with all BDS Suspension products these are backed by Factory Protection Plus offering safety and security with a limited lifetime warranty and ESC system compatibility along with 5-year, 100,000-mile extended drivetrain warranty. 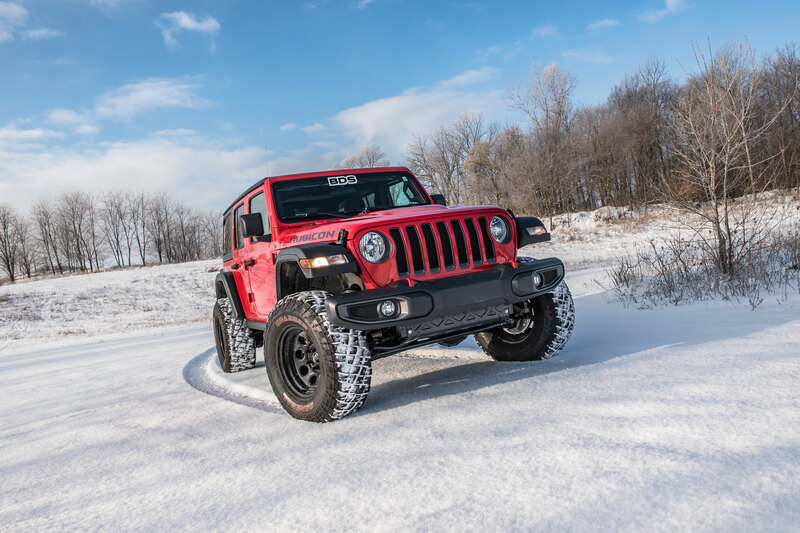 Go with confidence and get more out of your new 2018 Jeep Wrangler JL with BDS Suspension. Do you have an ETA for the 3-6 inch lifts for the JL? In the market to buy one and want to wait on BDS but if it’s going to be a while then I can buy elsewhere. 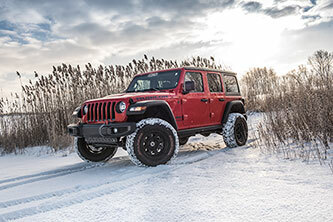 Hey Eric, I can go as far as to say we have several additional lift options in the works for the JL, but unfortunately can’t get into kit details, price points or expected release dates (company policy). As kits hit the shelf ready to ship we’ll be adding them to our website and begin promoting. Better Hurry! I’ve got a JL on order and need to fit some 37’s underneath!